[amazon_link id=”B001UV4XIS” target=”_blank” ]Harry Potter[/amazon_link] has kindled childhood imagination into the world of wizards and witches. Now, thanks to the makers of [amazon_link id=”B001SB3W2I” target=”_blank” ]Reed’s Ginger Brew[/amazon_link], one of my favorite refreshments, little enchanters can drink all natural, non-alcoholic, butterscotch beer just like in the books and movies! 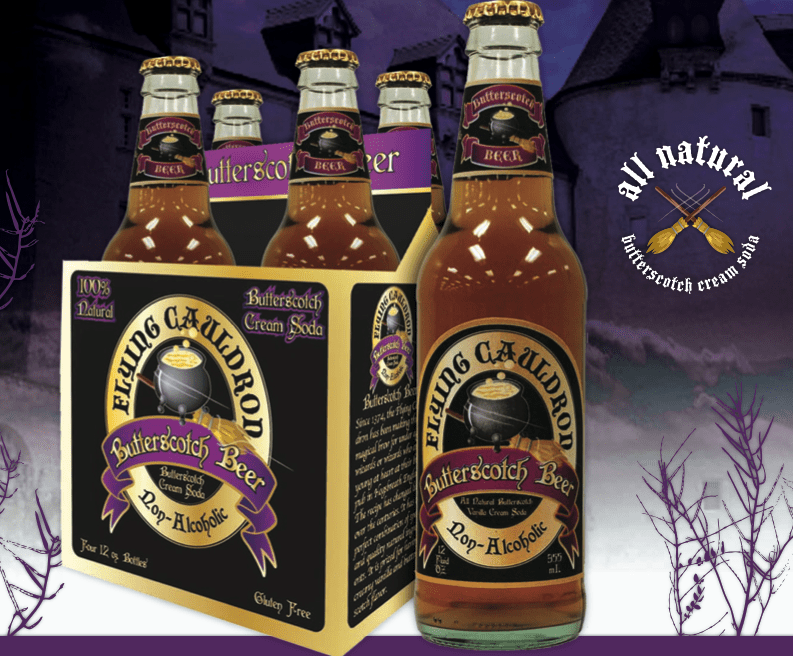 SINCE 1374, THE FLYING CAULDRON HAS BEEN MAKING THIS MAGICAL BREW FOR UNDER AGED WIZARDS AND WIZARDS WHO ARE YOUNG AT HEART AT THEIR BREW PUB IN HOGSBREATH ENGLAND. The recipe has changed little over the centuries. It has the perfect combination of spells and quality natural ingredients. It continues to be prized for its creamy vanilla and butterscotch flavors. This soda does taste a lot like butterscotch. It reminds me of a cream soda, which it is. It would be so much fun to serve at a child’s party. It is sweetened with stevia and sugar. It is gluten-free. Would I buy this product? Probably for a treat but not on a regular basis. This magical brew is not organic, and I am on the fence about stevia. Butterscotch beer sure is a fun novelty item that is essential for any Harry Potter fan. Happy Mother’s Day: I feel deep gratitude for the lessons I have learned from motherhood. British Teachers: Standardized Tests "Deny Children a Well-Rounded Education"